Yesterday's Apple event was mostly about heralding the arrival of the new -- a trio of new iPhones, and a new Apple Watch -- but it was also about losing a couple of things. None of the new handsets now feature home buttons, but this is not all that has gone. Although the price of the new batch of phones is high by pretty much anyone's standards, Apple has taken the decision to stop including a headphone dongle in the box. If you want to use traditional wired headphones with your new iPhone, you'll have to shell out on an adaptor. First, the home button. All three of the handsets revealed yesterday follow the lead of last year's iPhone X and feature a screen that occupies the entirety of the front of the phone. The only buttons on the handset are on the side, and the only interruption to the screen is the notch at the top. Last year, people had a choice -- opt for the button-less iPhone X, or hang on to the home button by opting for an iPhone 8 or 8 Plus. Now that choice has been taken away -- unless you're happy spending money on an older handset of course. Gestures are now very much the order of the day, as is unlocking your phone with your mug courtesy of Face ID. This opens up privacy and security concerns. Should your face really be used as a key? How trustworthy is a system that can be fooled by a photo? You can, of course, still use a PIN, which is just as well as Face ID doesn’t work in the dark. The death knell has also been sounded for the free headphone dongle. 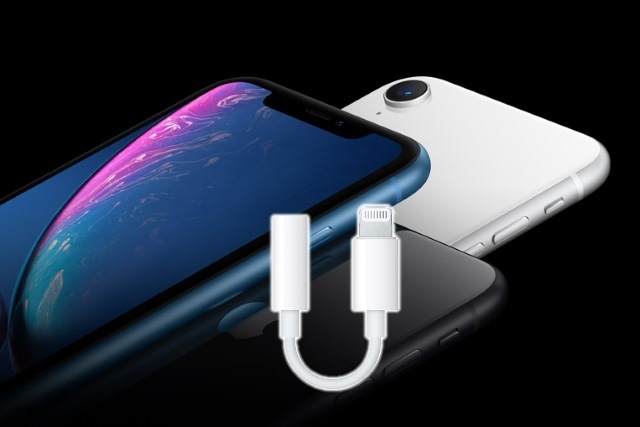 If you want to plug a set of headphones featuring a 3.5mm jack into your jack-less iPhone XR, iPhone XS and iPhone XS Max, you'll have to buy a dongle separately because Apple no longer includes one in the box. It's only $9, but considering the price of the phones, you'd think Apple could afford to keep including it. The lack of a freebie audio dongle also extends to the iPhone 8. Will you mourn the loss of either the home button or the free dongle?